Mike Emerton has been involved in training for over twenty years, specialising in the design and delivery of management and personal development programmes. He joined BLC Training Limited in 1995 and was a Company Director alongside his wife Jan. Following their purchase of WW Consulting in 2007, Mike & Jan incorporated BLC into the company. Mike’s experience has enabled him to develop specific strengths in Leadership, Teambuilding, Body Language, Assessment, Assertiveness, Dealing with Difficult Behaviour, Influencing, Persuading and Negotiating. Whilst employed by Trafford LEA, Mike was appointed as Senior Manager in a team seconded to provide a range of in-service training programmes, including giving presentations to full Council meetings. As Senior Manager of a centre which helped individuals with behavioural challenges, Mike had the opportunity to work closely with fellow professionals including; psychiatrists, clinical and educational psychologists, social work practitioners and members of the legal profession. During this time he was invited by Manchester University to lecture on behaviour analysis and assessment techniques. Mike has had extensive experience in the design and delivery of a wide variety of programmes for senior management teams with global blue-chip companies and is currently involved in work in China, India, Australia, The Americas and Europe. throughout Europe, with particular links to Eire, Hungary and Scandinavia, where he has acted as advisor to an environmental education agency. 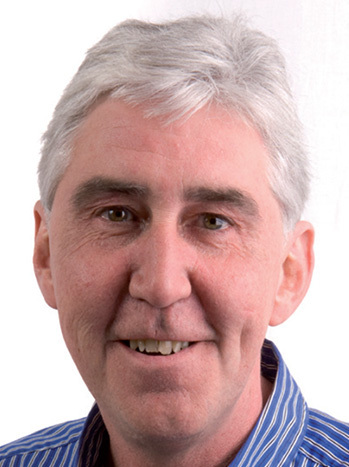 Mike is a confident and experienced presenter and has run numerous presentation skills courses for groups and individuals, ranging from novice to professional level. Delegates frequently comment on Mike’s ability to put them at ease, stimulate ideas and facilitate interaction in a lively and supportive atmosphere.